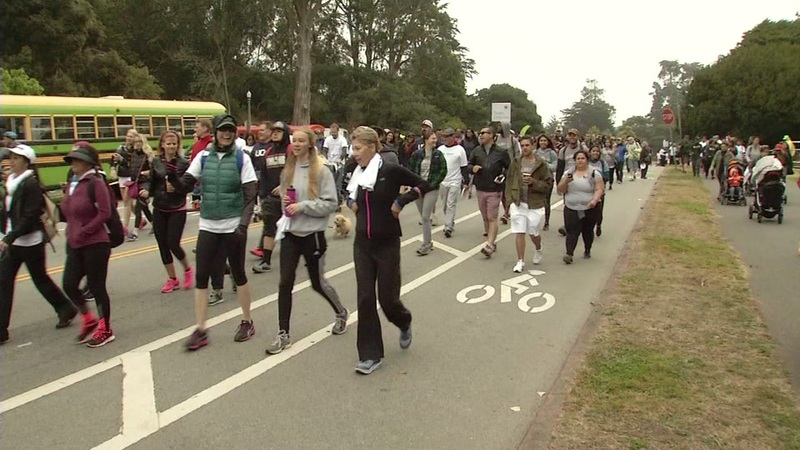 This image shows people walking in Golden Gate Park for the 2016 San Francisco AIDS Walk earlier this summer. SAN FRANCISCO (KGO) -- Many people teamed with ABC to fight AIDS and HIV earlier this summer. AIDS Walk San Francisco Wednesday shared some of the money raised with local patients fighting the disease. ABC7's president and general manager Bill Burton helped present a $100,000 check at UCSF Mission Bay. It will benefit Ward 86 at San Francisco General Hospital. "The Golden Compass program, which AIDS Walk San Francisco is funding is an attempt to address the dual epidemic of HIV and aging. This is the first program of its kind in the country," said Monica Gandhi, Ward 86 medical director. Ward 86 opened in 1983 as the world's first hospital unit dedicated to treating AIDS and HIV. Click here for more stories on AIDS.